This gift guide was compiled by Audrey van Petegem and Suzanne Letourneau of the ballyhoos, who support Indie Authors with their Branding and Marketing needs. The Holidays are coming and you know what that means…..It is that time of year where you start looking for inspiring gift ideas to give to friends and family! Sure you can give gift cards or flowers but why not give something that is a bit more meaningful? Everybody loves a good book! Whether you are looking for a unique hostess gift, something for the office gift exchange or the perfect gift to give to that someone special, a book is always well received. To make it easier for you, we have put together the Ultimate Book Lover’s Gift Guide. There is something for everyone on your list. From Inspirational to fun reads and titles for the younger readers (or young at heart). And, hey, you may even find something for yourself! What if everything you’ve ever been taught is a lie? What if we’ve been living under false assumptions? How can we know for sure? How can we find the truth? Today’s internet bombards us with daily information creating cognitive dissonance as we struggle with who to trust and what to believe. Million Dollar Moments sorts through the noise of these mixed messages bringing usto the only possible truth: your own truth. 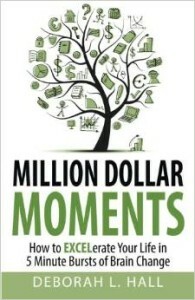 In 5 minute bursts of brain change each day, Million Dollar Moments shows you the path to uncover and claim your truth. These daily gems of inspiration will illuminate your values regarding business, love, creativity, and resources while encouraging and supporting you to step into who YOU are! Need a quote for a presentation or a speech? You’ll find some gems on these pages. Need a boost for the day? Open the book randomly to any page and you’ll get the inspiration that is meant just for your eyes for that day. Buy here. This is your book. The book that is inside of you all-ways. We all have a story to tell. In mine, I share how the biggest turning point of my life has opened my heart to receiving the best gift of all – Vulnerability. Vulnerability works hand in hand with Authenticity. And from the moment you experience your authenticity, your true self, you will not want to be anything else but authentic. 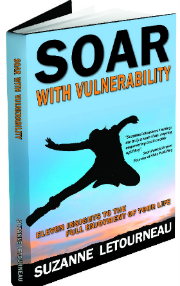 Vulnerability is about daring to be more than who you think you are. Get Curious. Be Outrageous. Buy here. François Roland is thoroughly, irrepressibly French – Parisian, in fact! His book, Being French! A Frenchman’s Guide to a More Sensual Life, is a memoir as well as a collection of essays about sensuality. 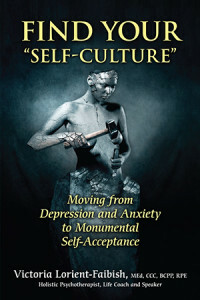 In it, Roland shares his own experiences and insights gained from a rich and intense sensual life, and from that perspective, the book proposes to its readers that they envision sensuality from a distinctly French point of view. An estimated 30 to 40 million North Americans use online dating sites, and the growing industry can now take credit for 17% of all marriages on the continent. Not surprisingly, a myriad of online dating self-help books have popped up on shelves—how-to’s and self-proclaimed success stories of finding a mate. This story is definitely not one of those. 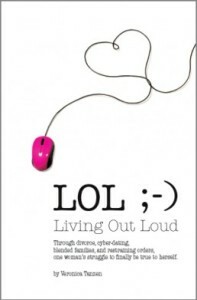 Living Out Loud takes you on a fresh and quirky ride through one woman’s attempt to master the science of cyber-dating while navigating her way down the road to finding true love. 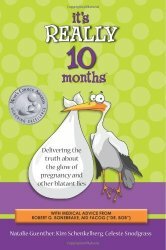 Start with a once-conflicted, twice-divorced single mother, toss in some humorous self-discovery, sprinkle in a smattering of questionable dating profiles, and wrap it all up in a very colourful package that will make you want to laugh, cry and have you want to read the whole book in one sitting! Just click here for a fun and enjoyable read. Buy here. 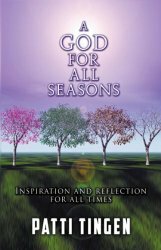 Based on Ecclesiastes 3, A God for all Seasons takes the reader on a year long journey, month by month. Starting with winter, the book moves through the natural seasons of the year. Each chapter correlates with a month and offers personal testimony and insights for the various spiritual seasons that we all experience. 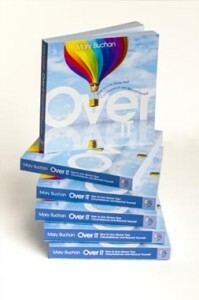 The theme of the book is that God’s love and presence is with us through every time and every season of our lives. 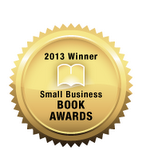 2014 Readers’ Favorite International Book Award Silver Medal Winner in the Christian Non-Fiction Category. Great gift idea for the person of faith that can be bought directly on Amazon.– Buy here. 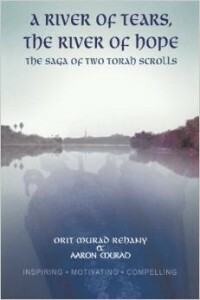 A River of Tears The River of Hope centers on the saga of the Two Torah Scrolls, and of an fluent and thriving community living peacefully for 2600 years until World War II and the events of Nazism, anti-Semitism and hatred took place in the ancient region known as the Cradle of Civilization, or modern days Iraq. A River of Tears The River of Hope follows the enchanting and fascinating Murad family. The Murad family brought to Israel a proud heritage to share with the world including the two Torah Scrolls of their beloved father and grandfather, Rabbi Ezra Murad. Rabbi Murad’s two Torah Scrolls traveled with the family to Israel. While settling in Israel the Murad family showed us the most valuable elements of hope, drive, and determination as they continued to thrive in Israel and Canada. A River of Tears The River of Hope will welcome readers into the history of the Murad family and their amazing journey from a world filled with oppression and tyranny, to one supported by acceptance and support. Buy here. 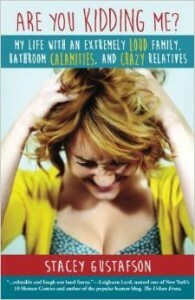 My Life with an Extremely Loud Family, Bathroom Calamities, and Crazy Relatives, a compilation of hilarious, surprising, and relatable stories. The book reached #4 on Amazon’s Hot New Releases list for its category during its debut week. Hop into your minivan and get ready to cruise through the crazies of Suburbia! Humorist Stacey Gustafson makes an entertaining tour guide in Are You Kidding Me?, a brash, voyeuristic peek inside the topsy-turvy world of suburban motherhood, midlife madness, and all points in between. If you’ve ever called SWAT on a neighbor, faked a heart attack in church, or pulled your hair out while questioning the sanity of your family, Stacey’s tongue-in-cheek brand of humor will resonate with you. Enjoy the ride and don’t forget to fasten your seat belt. Buy here. (101 ways girlfriends can connect, have fun and be inspired) combines friendship and personal growth in a collection of easy-to-follow activities that have been tested and proven to turn girlfriend get-togethers into life-shifting experiences. The activities in DWAG include short projects, exercises or excursions. The book is divided into four sections—mind, body, soul and funny bone—with twenty-five activities in each. 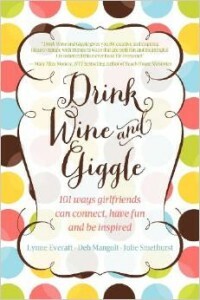 The perfect get-together companion, Drink Wine and Giggle uses the power of girlfriends to inspire women to get the life they deserve. Buy here. 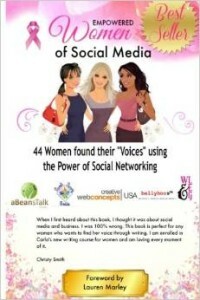 Empowered Women of Social Media – This book is perfect for the woman who is looking to find her VOICE. Finding ones voice means a deep self-discovery of life at its core. Read about women who have used Facebook, Google and Twitter to get support while they were going through breast cancer, midlife crisis and depression. Many women used social media to find their business path and create successful companies.Empowered Women of Social Media is a timeless collection of first time stories written by first time authors. Finding their voice meant writing their story, transcending pain and transforming their life. This book is for you if you are a woman who has been muted from abuse and violence, scared into silence from childhood trauma, or was simply raised to be seen not heard. This book will make a great gift. Buy here. 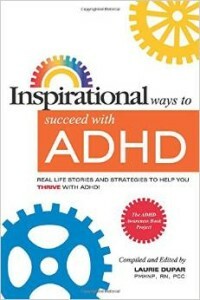 The fourth book in the best-selling ADHD Awareness Book Project series, Inspirational Ways to Succeed with ADHD: Real Life Stories and Strategies to Help You Thrive with ADHD is a one-of-a-kind informative and inspirational resource for people with ADHD containing over 100 strategies and stories to empower, enlighten, educate and entertain. Laurie Dupar of Coaching for ADHD asked 40 ADHD experts: “What is your best strategy or story to help people succeed?”Within these pages is that one tip, strategy, resource or story that is the answer or inspiration to help you succeed with ADHD! Buy here. No one ever tells you about all of the crap that happens to you when you’re pregnant. We are three thirty-something women who were fortunate enough to be pregnant at the same time. We began sharing our questions, fears, humor, and experiences through emails, which became a lifeline and virtual support group. We are here to tell you the good, the bad, and the ugly of our experiences. This book is for anyone who wants to have fun, who wants to laugh, who wants to know what it is like to be afraid for your baby, who doesn’t mind poking fun at herself, who can lay it all out there. Even if you never have any intention of being pregnant, you can laugh with us – or at us. Perfect for the mamma to be that can be bought directly from Amazon. Buy here. This is the universal story of motherhood, from the gentle moment of birth to the inevitable letting go. In the playful and poignant simplicity that is her signature style, JC Little has captured the tender bond between mother and child. 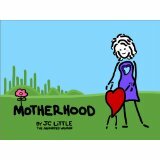 Motherhood is a timeless picture-book for mothers, sons and daughters of all ages. Available on Amazon in paperback and Kindle. Buy here. What are the most pressing problems facing new parents today? As the world has gotten increasingly complicated, so has parenting. 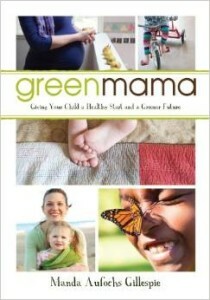 Manda Aufochs Gillespie, The Green Mama, brings 20 years of green consulting, research, and lots of humour to a variety of topics that affect the health and well-being of our children. You’ll find help getting back to the basics at a time when the “basics” are being redefined: clean air, nutritious food, simple play, healthy indoor and outdoor environments, and less stuff. “[Green Mama] is a how-to book, but it’s also a manifesto of sorts: a manifesto declaring that no corporation or manufacturer is the boss of you, and that you have more control over the development of your family than an advertise-and-buy economy would have you believe.” —Jordan Yerman, Vancouver Observer. What’s that playful PickleWeasel up to? 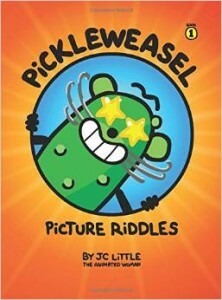 There are 101 tricky PickleWeasel picture riddles to have fun figuring out. Some of the words are easy and some are more of a challenge, with clues in every picture. You can “hide” and “reveal” the answers with your very own thumbs, and the words are inverted, for those who pride themselves on their upside-down reading skills. Story artist JCLittle has created a wacky, zany, super-fabulous and slightly educational collection of PickleWeasels for kids 8 – 12. Bonus: Flip the corners of the book to see a little animation, just for laffs. PickleWeasel is a jaunty fellow! Available on Amazon in paperback and Kindle – Buy here. Who ever heard of a girl being hatched from an egg the color of sapphires? Magelica doesn’t know where she came from or who she really is. But when she is transported to the Isle of Dreams in a flying bathtub, she launches into an exciting adventure of discovery. Come fly with Magelica and discover for yourself the power of imagination, positivity, believing in yourself and love! This first book is part of a trilogy that with touch not only a child’s heart but everyone who reads it. 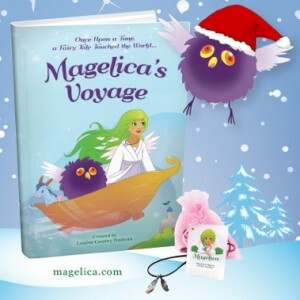 Magelica’s Gift set includes the beautiful Magelica storybook, and magical feather necklace making it the perfect gift for a child ages 5 -11. Wear the feathers together or share a feather with a best friend. 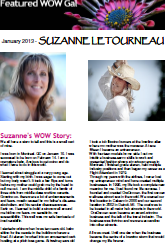 Available in French, English and Spanish. Buy here. When fifteen-year-old, Emma Siegel lays eyes on hottie Evan Randolph, she knows he is the boy for her. Using her school newspaper column, Emmastrology, she deliberately and craftily manipulates the end of his present relationship, and sets herself up to be his new girlfriend. Unfortunately, Emma does not predict the mess she gets herself into. 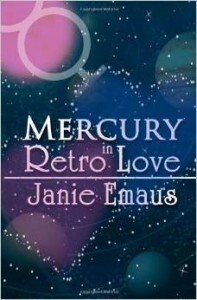 MERCURY IN RETRO LOVE follows Emma on her journey toward self-awareness. Her unflinching belief in astrology sets up more than a few roadblocks and threatens to derail her friendships with her best friends in the whole world. Available on Amazon. Buy here. “This afternoon it snowed. 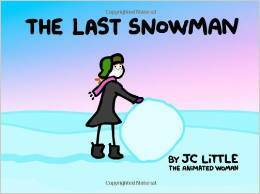 It was probably one of the last snows of the winter, so it was lovely sticky snow…perfect for making a snowman.” So begins the funny and poignant tale of a teenage girl and a dangerously tall snowman. 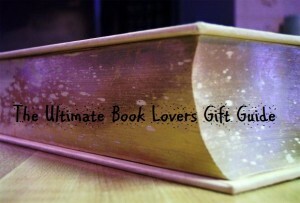 UNIQUE Gift for Book Lovers! The e-GO! Library is today’s Top 1,000 Indie eBooks, picked by 5 million avid readers, PLUS 250 Bonus Classics – all on preloaded & portable USB drive. Fiction & non-fiction titles span all genres. No WiFi or Internet required. Saves downloading time. Holds 3 file formats PDF, Kindle (PRC) and EPUB for Kindle, Nook, iPad, laptop, computer, tablet, and or smartphones too. Works with all devices to enjoy anywhere, anytime! 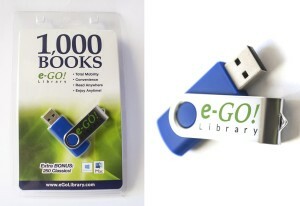 This great gift idea puts 1,250 books in anyone’s pocket. Help them escape boring reading. Find the Best Sellers of tomorrow and discover the undiscovered today. Check out their website here. From our bookshelf to yours…Have a wonderful holiday season!